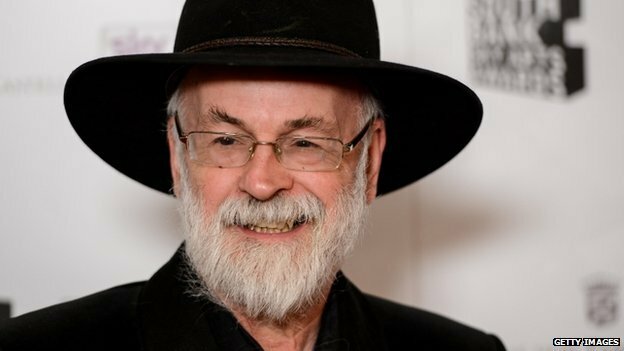 Fantasy author Sir Terry Pratchett has died aged 66 after a long battle with Alzheimer’s disease. Sir Terry, best known for the Discworld series, wrote more than 70 books over his lengthy career. 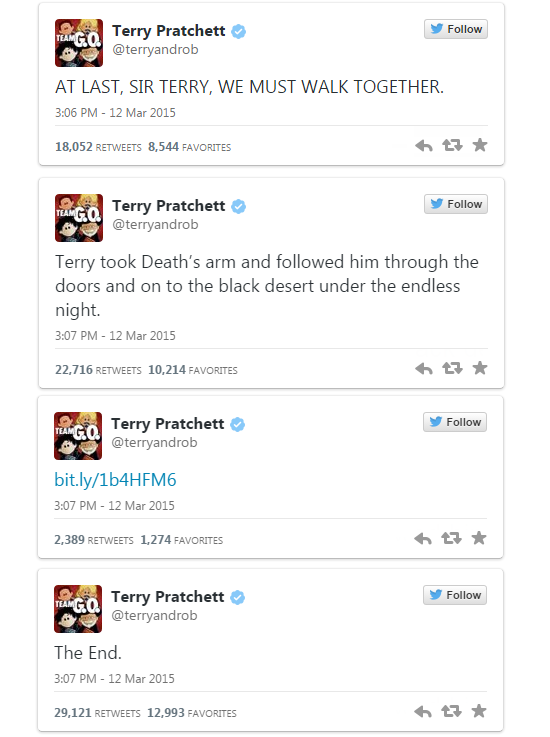 Sir Terry’s Twitter account, updated by his assistant Rob Wilkins. This entry was posted in Chat, Writer and tagged DEATH, TERRY PRATCHETT. Bookmark the permalink.